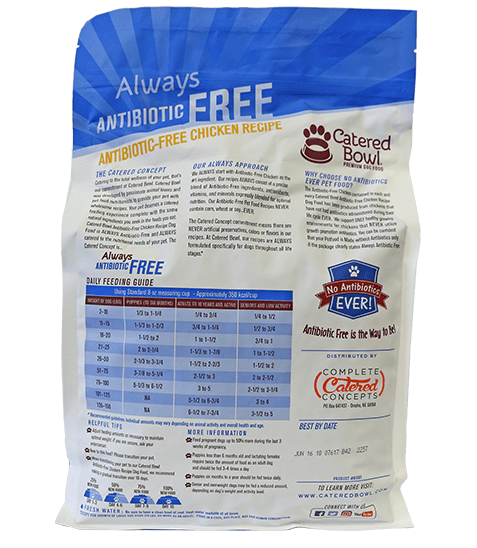 We start with U.S. raised Cage-Free Antibiotic-Free Chicken as the #1 ingredient. 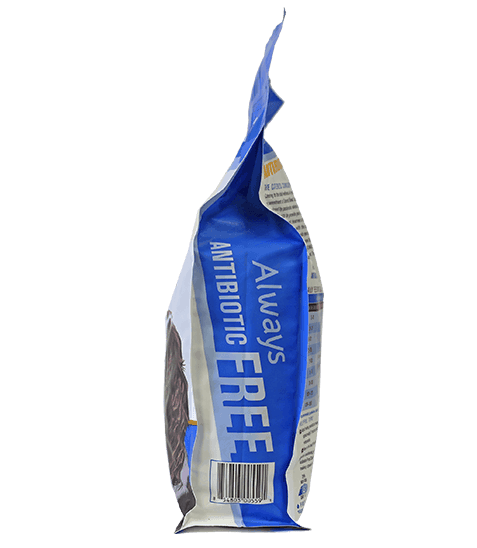 Our recipes are made with a precise blend of natural ingredients, antioxidants, vitamins and minerals expressly blended for optimal nutrition. 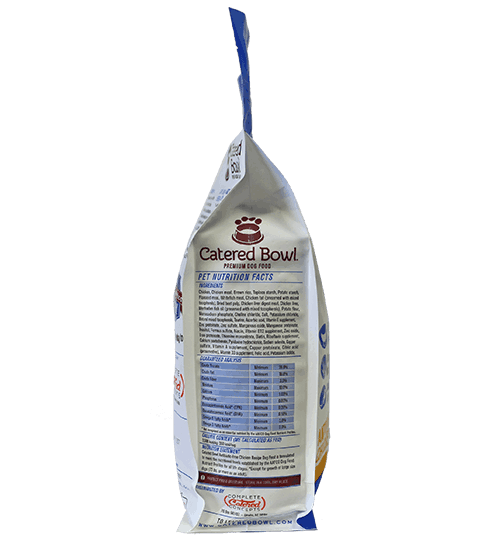 Chicken, Chicken meal, Brown rice, Tapioca starch, Potato starch, Flaxseed meal, Whitefish meal, Chicken fat (preserved with mixed tocopherols), Dried beet pulp, Chicken liver digest meal, Chicken liver, Menhaden fish oil (preserved with mixed tocopherols), Potato flour, Monosodium phosphate, Choline chloride, Salt, Potassium chloride, Natural mixed tocopherols, Taurine, Ascorbic acid, Vitamin E supplement, Zinc proteinate, Zinc sulfate, Manganous oxide, Manganese proteinate, Inositol, Ferrous sulfate, Niacin, Vitamin B12 supplement, Zinc oxide, Iron proteinate, Thiamine mononitrate, Biotin, Riboflavin supplement, Calcium pantothenate, Pyridoxine hydrochloride, Sodium selenite, Copper sulfate, Vitamin A supplement, Copper proteinate, Citric acid (preservative), Vitamin D3 supplement, Folic acid, Potassium iodide. 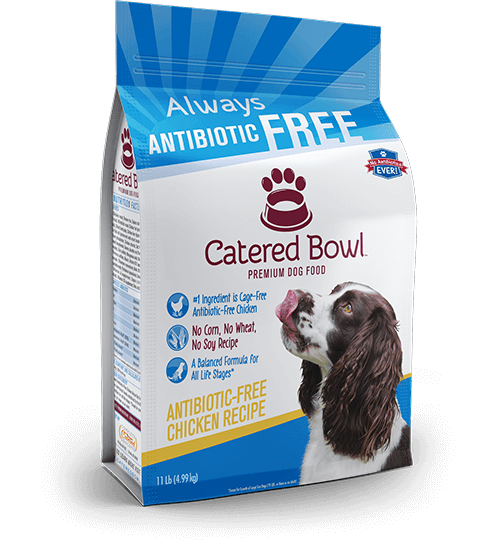 Catered Bowl Antibiotic-Free Chicken Recipe is formulated to meet the nutritional levels established by the AAFCO Dog Food Nutrient Profiles for all stages of life. 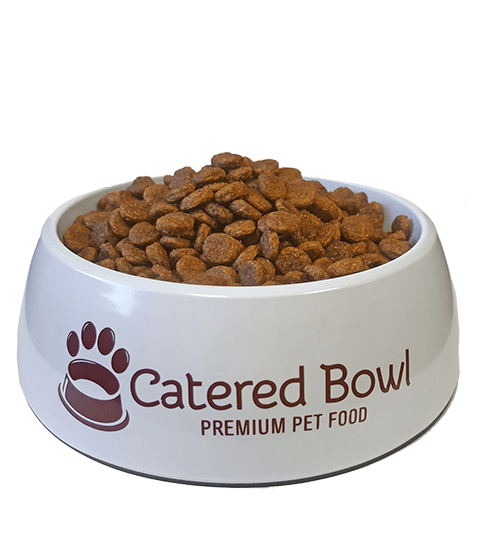 Except growth of large size dogs, 70 lbs. or more as an adult. 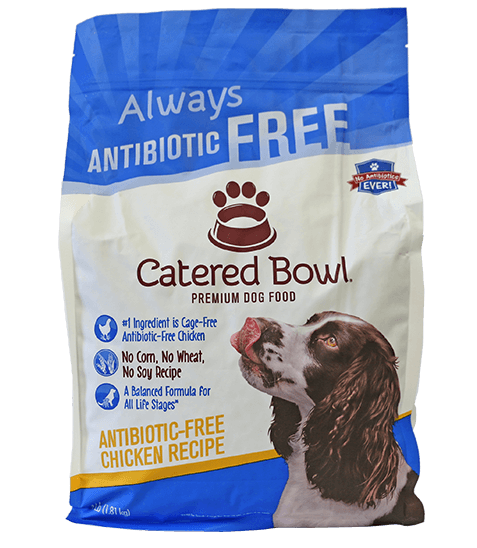 When changing to Catered Bowl Antibiotic-Free Chicken Recipe Dog Food, some dogs may do better by making a gradual transition over 10 days. Start with 25% of the new food mixed with 75% of the previous diet, and gradually increase the new while decreasing the previous until the transition is complete.